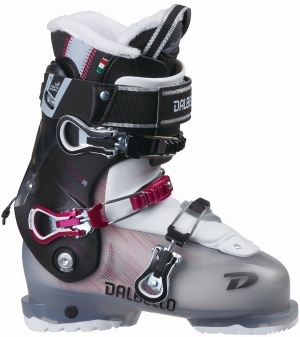 Bootfitter’s comments: We’re very excited for this new boot from Dalbello. The Lupo AX is geared towards advanced skiers looking for a high-performance boot to do everything. Medium-volume 100mm fit offers a great blend of precision and comfort. The Kyra MX90 W replaces Dalbello’s very popular Luna 90 as a versatile, comfortable, high-volume boot. Featuring a convenient walk-mode and a cabrio tongue design that is much easier to put on and take off than a traditional overlap boot, the Kyra MX90 is geared for comfort. 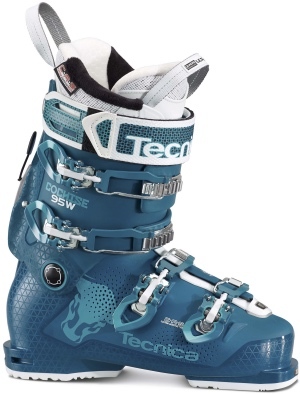 Ideal for first-time boot buyers or intermediate to advanced skiers who are focussed on comfort. Bootfitter’s comments: The Kyra MX90’s predecessor, the Luna 90, was a bestseller for us, with customers loving its relaxed fit, smooth flex and soft, fluffy liner. Thankfully, the Kyra is an update in name only, and all the features of the Luna remain. If you’re looking for a comfortable, forgiving boot, the Kyra MX should be on your list! Bootfitter’s comments: Tecnica have refined the bestselling Cochise 105W to offer even greater performance and fit flexibility. A new 99mm shell offers full customisation for a personalised fit, while retaining all the touring functionality and downhill performance that makes these boots so popular. Designed for good skiers the fully customisable Challenger 100 W is a refined fusion of style, comfort and performance, creating a versatile boot for all-day aggressive skiing. It features our revolutionary Adaptive Fit last with changeable widths from comfort performance to precision performance as well as our adjustable ski and hike modes. It also has a super comfortable PerfectFit HD liner for enhanced comfort and hold and micro-adjustable for premium control and power transfer. Bootfitter’s comments: Head’s Challenger is a great blend of piste performance and all-mountain functionality. The 101mm last is generous enough to deliver all-day comfort, while the walk mode offers flexibility and ease of use for those exploring beyond the resort boundaries. Bootfitter’s comments: K2’s brand new boot is geared toward the intermediate skier seeking convenience, ease of use, and of course comfort. The shell design allows this boot to be put on hands-free (we have tested this, it works! ), and the walk mode helps take the pain out of trekking around the resort. The heated liner option is the ultimate luxury upgrade!